South Africa's Leading Music Technology College. Courses and training in studio and live sound engineering, digital music production and post production. Internationally accredited AVID, Steinberg and Waves Training Institution. Emendy Sound & Music Technologies is a local and internationally accredited Music Technology College specializing in digital music production and sound engineering courses. As an internationally accredited “Pro-Tools” and “Steinberg” training centre students are trained using the latest methods, software and gear available today! Being the pioneer of digital music production education in South Africa, Emendy focuses on aspects that are required by local and international standards and methodology. We ensure that each graduate is equipped with the required skills and knowledge to work in basically any music industry environment. Emendy is currently the only music technology college in South Africa that provides training on the six most recognized music production and recording platforms in the world. With our unique student marketing and personal-profile-building strategies - students get the maximum exposure in the industry even while studying. This ensures a better chance of employment or opportunity to start and maintain their own independent music industry business. With the slogan: “Let the rhythm of your mind become a reality”, Emendy is driven and passionate about contributing to higher music standards in South Africa. 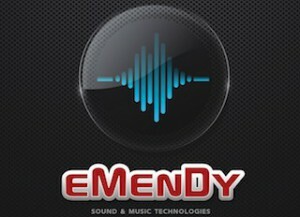 Emendy has produced and launched many skilled and well established digital music producers, musicians and artists all over the world working in and around music industry businesses, recording studios as well as their own independent music production studios and businesses.